UL Labels: How Can Buying Bulk Save you Money? If you’ve ever shopped at Costco you probably have experienced the benefit of buying in bulk. You don’t have to be a large family to recognize savings from warehouse purchases, because if you use a product regularly buying in bulk just makes sense. Manufacturers know this. They also know that if they offer enough of a product at a discounted price, the consumer will recognize the value and make a large quantity purchase where they might have otherwise only bought one off the shelf. In this situation both the manufacturer and the consumer win. The consumer gets the product they want at a cheaper price saving them money, and the manufacturer gets to move more product than normal to in order to meet the bulk demand. If this makes sense for both the manufacturer and the customer, why don’t manufacturers consider this when they find themselves as consumers in the market? UL Labels are a perfect example of a product that every UL certified company needs and should be buying in bulk. If your company is not currently participating in UL certification, it’s certainly worth your time to investigate! Meeting UL standards may seem like a lot of work, but the UL label is on over 22 billion products throughout the world. It’s time to get ahead of your competition. If the UL certification mark is a new standard your company wants to achieve, visit the UL Standards FAQ Page to review some of the steps and requirements that are necessary to qualify for the UL label. 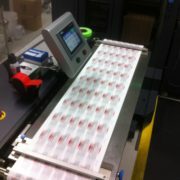 Looking for Bulk UL Labels? If your company already has UL certification and you are looking for someone to supply your UL labels, we can help! As an authorized UL label supplier, we have a variety of solutions for any unique label applications you may need. To learn how we can use our special expertise to make sure you are getting the proper UL label, please call us today at (262) 790-2740, or feel free to fill out our contact form. https://flexo-graphics.com/wp-content/uploads/web-shoot1.jpg 2592 1936 fgadmin /wp-content/uploads/flexologoOLG.jpeg fgadmin2018-07-20 16:29:352018-07-27 16:58:52UL Labels: How Can Buying Bulk Save you Money? What is a UL Sticker? If you’ve ever manufactured and sold anything in the United States, you know how important it is to produce a quality product or part. Many manufacturers invest significant time and money into rigorous testing of their products. They do this for several reasons, such as ensuring a product is of high quality and meets or exceeds technical or safety standards. But one of the main reasons manufacturers put their product through the wringer is to qualify to receive the coveted UL sticker. What is a UL sticker? A UL sticker is a small sticker with the initials UL that indicates to manufactures and consumers that your product is of superior quality because it has met the testing standards set by the UL. It is a certification mark that carries enough weight to encourage consumers to buy with confidence. The UL is short for the Underwriters Laboratories. The company started out in 1894 as the Underwriters’ Electric Bureau laboratory and was founded near Chicago Illinois by a Boston engineer who had come to the Chicago World’s Fair to investigate the World Fair’s Palace of Electricity. Seeing the need for proper testing and standardization in electricity, he developed equipment and testing methods to uncover potential hazards. The business developed and expanded into many other sectors. Eventually it became the Underwriters Laboratories. Today the UL is a global giant with its central office in Northbrook Illinois, and offices in over 46 other countries. What does the UL do? The UL helps companies in so many facets. From pointing out safety issues to confirming compliance the UL can ensure your company is not just producing a top quality product, but doing it in a way that is both safe for workers and the environment. A few of the many services offered by UL include: facility inspection, company advisory services, employee education and training, proven testing, auditing and analytics, software solutions, as well as marketing claim verification. The UL label is on over 22 billion products throughout the world. This does not water down the achievement however, since there are numerous requirements that must be met for a company to be able to proudly display the UL label on their product or part. If the UL certification mark is a new standard your company wants to achieve, visit the UL Standards FAQ Page to review some of the steps and requirements that are necessary to qualify for the UL label. Looking for a UL Sticker Supplier? If your company already has UL certification and you are looking for someone to supply your UL stickers, we can help! As an authorized UL sticker supplier, we offer a variety of solutions for any unique label applications you may need. To learn how we can use our special expertise to create the best label for your product, please call us today at (262) 790-2740, or feel free to fill out our contact form. https://flexo-graphics.com/wp-content/uploads/ul_markshub_enhanced-ul-cer-marks_bg-grey_215x120.png 120 215 fgadmin /wp-content/uploads/flexologoOLG.jpeg fgadmin2018-07-13 15:00:202018-07-27 15:15:12What is a UL Sticker?